The search is off and Meghan Markle has reportedly appointed her wedding dress designer and chosen the dress for her highly-anticipated royal wedding in England. While it is unlikely that the styles will be revealed until Markle arrives at St George’s Chapel in Windsor on May 19 2018, the rumor mill is working overtime. The top contenders to date? Australian duo and real life couple, Tamara Ralph and Michael Russo, are renowned for their extravagant couture designs and have recently launched a ready-to-wear collection. Markle selected a $75,000 Ralph and Russo dress for her engagement session with Prince Harry which became an instant Instagram sensation. Now, according to reports in the Daily Mail, they are rumored to be Markle’s chosen dressmakers. Kensington Palace is notoriously secretive about all things wedding, so we will have to wait and see! While Ralph & Russo made headlines with their feathery engagement dress and the all-but-confirmed rumors of a wedding gown valued at 100,000 British pounds, it was Claire Waight Keller’s white boat-neck creation from the House of Givenchy that turned heads at the Windsor Castle ceremony. According to the BBC, Markle chose Keller for her “timeless” aesthetic. It does seem fitting that a world-renowned British designer, approved by Kensington Palace, created the masterpiece for this latest royal wedding. Of course, the wedding world is heavily influenced by celebrity weddings, so it will be interesting to see how Markle’s gown, and the royal wedding itself, influence nuptials well into the 2019 season and beyond. Will demand for destination weddings in England grow in response? We are already seeing couples changing focus from Caribbean beach weddings to luxury events with a different twist. Great Britain and Europe are hot, up-and-coming markets for couples from all over the world. Meghan and Harry’s fairytale romance, fresh and genuine nature, and international fame will likely entice couples to consider holding their own luxury destination weddings in England. 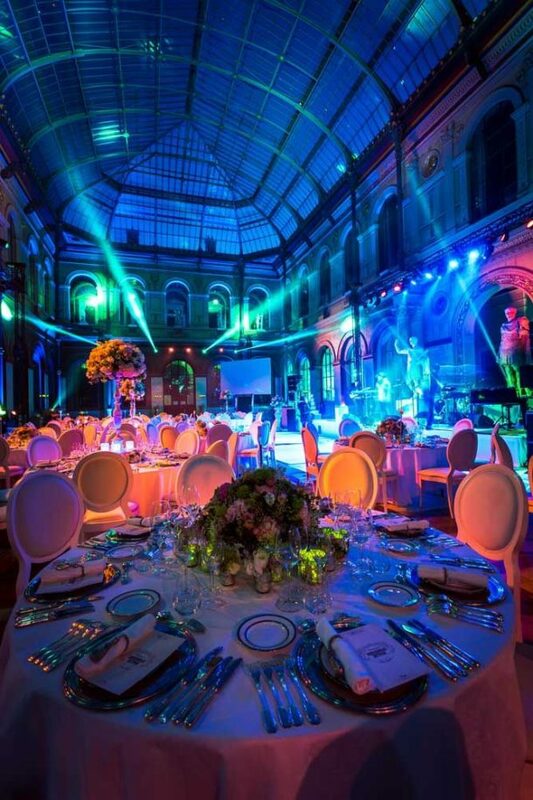 If you dream of a wedding royal-style, there are so many venue options available in London and throughout England. Historic castles, English country estates with manicured gardens and a variety of contemporary sites offer everything you could possibly want. Invite your guests to explore one of the most popular tourist destinations in the world between wedding events. They can shop at Harrod’s, catch a Broadway show, watch the Changing of the Guards at Buckingham Palace, or walk the somber halls of the Tower of England. 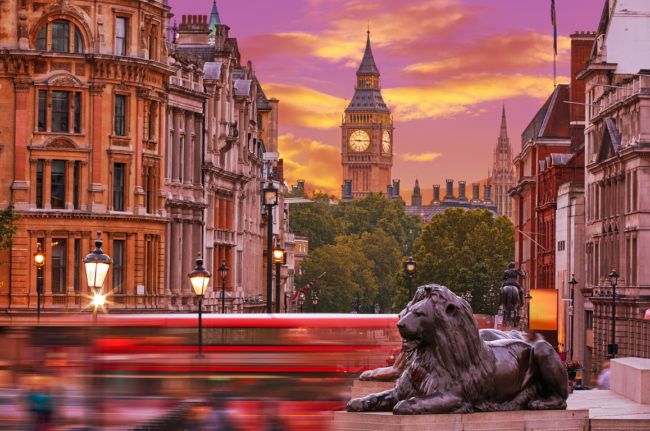 History buffs, party animals and Anglophiles will have more to do than time, and you will enjoy complete relaxation while our expert destination wedding planners create a custom luxury event just for you. If England appeals, you might also consider hosting a destination wedding in France, Portugal or Italy. Where do you envision your perfect ceremony – a private Italianate villa, a chateau in the Loire Valley, or in a seaside resort on the Mediterranean? Not sure where to start planning a destination wedding? Our award-winning wedding designers are standing by to offer a hand. Contact us today! It’s January, and we are reminiscing fondly about our favorite 2018 wedding destinations. It is always an honor to bring dreams to life, but some events mark our hearts even more indelibly than most. At times, the couple’s story is very compelling, or we are particularly proud of a design, but often what pushes an event over the threshold for us is the incredible destination. As some of the world’s most recognized bespoke destination wedding planners, we are beyond fortunate to plan events in beautiful locations around the globe. In that spirit, we are sharing some of our favorite wedding destinations from 2018. While we are definitely partial to the destination that put us on the map, there is so much about Marrakech to love that we couldn’t possibly leave it off the list. Guests constantly cite Morocco as one of the best destinations for weddings due to the ease of travel, modern amenities, adventurous expeditions, shopping and exquisite local cuisine. It’s no secret that our wedding planners in Morocco love producing bespoke destination weddings in Marrakech. One of our favorite design challenges is to make the Old World and contemporary style meet in perfect harmony, and weddings in Rome give us the perfect opportunity to exercise our talent. Our wedding planners in Italy find unique locations for events like medieval castles, relaxing villas, modern hotels and walled gardens. We complement the sites not only with cohesive designs, but also with professional-level live musicians and entertainment. Tenors may serenade before a ceremony, while fire-eaters, illusionists, and traditional dancers keep guests engaged as they enjoy cocktails. Out of town guests can spend time between wedding events seeing sights they have only read about in history books, or relaxing with a glass of wine and simply watching the people pass by. There is something in this iconic Italian city to appeal to every personality. On our must-mention list of favorite destinations from 2018 is Paris, France. While our most recent event in Paris was a birthday fete, the city is perfectly positioned to offer the best weddings in the world. Parisian venues do more than just house beautiful weddings. They offer a view of historic streets, manicured gardens, the meandering Seine and more. Paris is a delicious contrast of past-meets-present (and even future) between its Old World charm and its position at the leading edge of fashion, cuisine and design. You can push the envelope with a wedding in Paris or honor the traditions of old. These are just a few of our favorite wedding destinations from 2018. Stay tuned as we will soon share about popular upcoming destinations for 2019! Copyright © Cocoon Events Group Ltd. 2018. All Rights Reserved - Designed by F.O.